Are you looking for a prompt and professional interior painting Brisbane service? 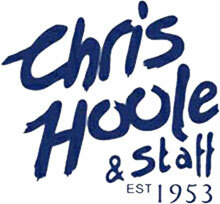 Chris Hoole & Staff Master Painters have ample experience in both exterior and interior painting Brisbane. Our team is made up of talented, dedicated and committed individuals all working towards the same goal- a perfect result on the job and complete customer satisfaction! We have been offering our services as Brisbane Residential Painters to various real estates in the local area. We have painted thousands of homes over the years - on average, we will paint 350 homes every year! We have developed a high reputation within the local community as well as building friendly and professional relationships with nearly all of our clients. As a business that is dedicated to getting the job done right and on time, we understand the importance of time frames and adhering to the requests of our clients. You can be assured that when you hire Chris Hoole Brisbane Residential Painters, you won't be disappointed. We are constantly endeavouring to provide a hassle free and enjoyable working experience for both our clients and our staff. No matter what project you may have in mind, be it a single wall that requires a few touchups or the interior painting of an entire home, we have the commitment, knowledge and skills to pull it off! Give us a Call today for more information on some of the services that we offer to local real estates. We are also more than happy to provide free, no obligation quotes for prompt and professional painting services! Why Choose Chris Hoole Brisbane Residential Painters?